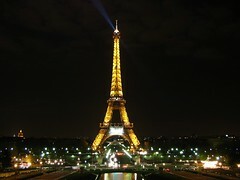 The world generally has a love affair with Paris and mostly there is a romanticised view of Paris; the city of love. And to be honest, Paris is a truly exquisite city, with exceptional architecture, twinkling lights on the Eiffel tower and hidden cobble stone streets. It is a culture of promoting the small trader rather than the big grocery stores and your speciality shops still exist, especially your cheese shop; butchery and chocolatiers and lets not forget there is a boulangerie on every street corner alongside the stereotypical French cafe. Writers write about Paris, Hemingway devoted a whole novella to Paris and people come here is search of culture and to follow the steps of great American authors who resided in Paris for a time. Indeed there are many Americans, who continue to live the life of Hemingway’s in Paris. The glorification of Paris makes it truly an exciting city to live in, that is until reality hits you smack in the face with a dizzying punch. One gets up not being giddy with pleasure but giddy with pain, shock and surprise. If one is moving here, one is faced with tiny apartments, high cost of living and somehow one’s salary is never enough in Paris. If one thinks they can save in this country that are surely not sitting in the middle-income bracket category. Indeed, Paris is good for the rich and the wealthy but not for the middle-income bracket. Living here has meant that I have used up my savings in order to provide a descent standard of living for my children and certainly, living in Paris does not offer one the luxury of surviving well when obstacles are placed in front of you. For example, last month my daughter fractured her ankle. This meant having to get a taxi to the hospital and returning home in a taxi. This is a costly exercise in Paris and one that a middle-income earner cannot afford. The total expensive came to 60 euros in transport costs alone. Additionally, Paris is not geared for the elderly nor the disabled. Metros very rarely have elevators and the bus was a 2 hour journey home with my daughter been on crutches, even on crutches she had to walk quite a distance. The difficulty and inconvenience of her injury showed one fault of Paris and in our modern world this is a major challenge. No wonder one rarely sees the elderly on the metro. The BIGGEST challenge with living in Paris, is the unexpected. The unexpected drains ones cashflow and does not allow one to save. Recently, I have had to pay tax, council tax, orthodontics for my daughter, and external expenses relating to a new lock in my apartment plus taxi rides for her injury. Additionally, I will need to pay out for our heating to be fixed (as it does not work in her room), my washing machine broke today and a book shelf collapsed, which all need fixing. All of these unpredictable events drain the cash flow, and Paris becomes a place where you live but do not enjoy. Paris is a beautifully cruel city which can elevate you and make you shine or crush you in the urine infested gutters of the city. If one is thinking of moving here, be careful and mostly be clever.